There’s more good news for Indian foodtech unicorn Zomato. 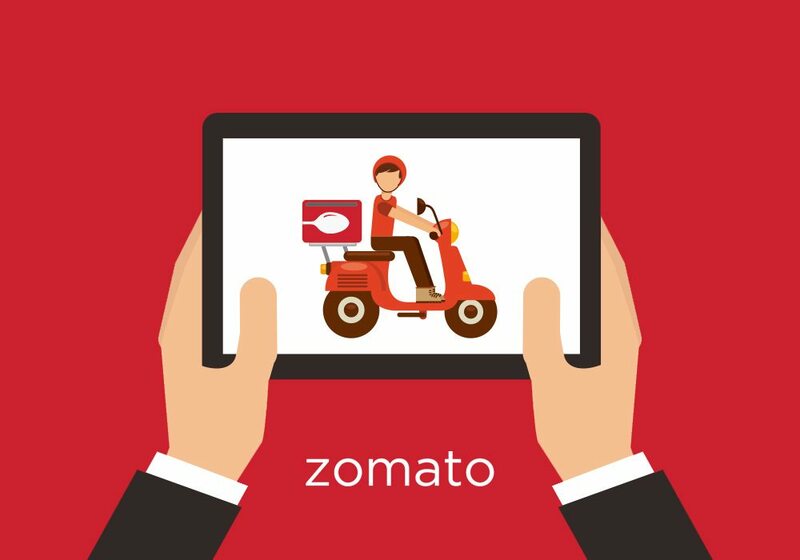 As per reports, NYC-headquartered equity research firm Jefferies has marked up Zomato’s valuation from $500 Mn in July 2016 to $865 Mn. According to sources, Zomato’s growing foothold in the country’s online food delivery industry, together with its aggressive pricing strategy and recent fundraise, have contributed to the valuation markup. In its report, Jefferies ascribed a value of $470 Mn to the Gurugram-based foodtech giant’s advertisement business. The online food ordering arm of Zomato, on the other hand, is estimated to be worth $395 Mn. As per the report, if the current growth rate continues, Zomato will likely lower its losses by 9.7% to $14 Mn (INR 91.1 Cr) in the fiscal year ending in March 2018. During FY18, the company is also expected to see a two-fold increase in revenues to $25.4 Mn INR 164.4 Cr), the report by Jefferies stated. The development comes just over two months after Japan-based financial holding company Nomura marked up Zomato’s valuation to $1.4 Bn till March 2019. As explained by Mehta, Zomato’s business model has allowed customer acquisition at low costs. In the last year, the company’s restaurant discovery platform has greatly accelerated the growth of its food delivery service and has also helped monetise it. According to predictions by Nomura, Zomato is well on its way to charting more than $300 Mn by FY22. In the last two years, the online restaurant discovery and food ordering startup has undergone two valuation changes. In September 2015, Zomato reportedly raised $60 Mn to 80 Mn funding at a valuation of $1 Bn. By May 2016, however, its valuation dropped to $500 Mn, when HSBC Securities and Capital Markets slashed the company’s paper valuation due to concerns surrounding Zomato’s advertisement-heavy business model, growing competition in the food ordering space, and money-losing international operations. Established by Deepinder Goyal and Pankaj Chaddah in 2008, Zomato has raised about $223 Mn funding and has made about 11 acquisitions till date. As of September 2017, the foodtech unicorn was reportedly in talks to raise up to $200 Mn from Alibaba and its payments affiliate Ant Financial at a post-money valuation of $1.1 Bn. If the investment goes through, the Chinese ecommerce giant is likely to pick up a stake in the company. Despite facing several setbacks in the last few years, Zomato managed to cut losses by 34% in 2016-2017. In the annual report for FY17, Zomato reported an 80% surge in revenue to around $60 Mn. The restaurant discovery and food delivery platform witnessed an 81% drop in the annual operating burn for FY17 at $12 Mn compared to the $64 Mn in FY16. The company’s food delivery service made headlines for raking in over 3 Mn monthly orders for the first time in July 2017. As per a blogpost by the company, Zomato’s food business has high customer retention. The company claimed that about 65% of its newly signed up users for the food ordering business order again from Zomato in the next 12 months. In September, Zomato announced the acquisition of Runnr, a B2B online service provider platform for hyperlocal logistics services. The move was aimed at bolstering the company’s food delivery capacity. Around the same time, co-founder and CEO Deepinder Goyal proclaimed that the foodtech startup had turned profitable in 24 countries across the world. A week later, it reportedly invested an undisclosed amount in Hyderabad-based foodtech startup, TinMen. Post this investment, Zomato and TinMen were said to be working together to expand their services first in Hyderabad, and then the rest of the country. More recently, reports surfaced that the foodtech unicorn was in merger talks with rival Swiggy, on the basis of a 4:1 share swap ratio. Irrespective of whether the merger actually takes place or not, the recent valuation markup by Jefferies reflects the phenomenal growth the Zomato has charted in a space that is infamous for shutdowns and layoffs.